The Sleep Master iCoil 8 Inch Spring Mattress by Zinus has a plethora of iCoil Pocketed Springs to eliminate practically any motion transfer which may occur during the user’s sleep. Each coil spring is sewn individually into a tiny pocket to provide dedicated support and uplift. Moreover, it has the same comfortable feel of a memory foam mattress sans the hotness. To have a better appreciation of this mattress by Zinus, let’s go over the features which make this Sleep Master model a particularly good investment for people who tend to sleep on their side. Its seven-inch iCoil base and one inch density foam combine to adjust to the user’s weight or any pressure which may be applied on its surface by the user during sleep. 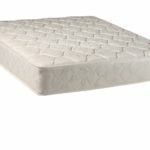 This Sleep Master model has been manufactured with a quilted over of fiber and foam for added support and comfort for the user. Equipped with the eight-inch iCoil, as mentioned earlier, this mattress keeps your spine fully aligned and free from any pressure while the user sleeps because its plush shape retains firmness from its numerous layers of polyester and Pressure Relieving Comfort Foam. This foam is CertiPUR certified, meaning its durability, content, and performance are all guaranteed to be of the highest quality, a feature that any customer will experience from its warranty. 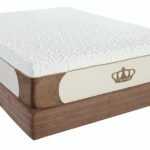 This Sleep Master comes in twin, king, queen, and twin XL models, all with the Zinus patented technology which allows these mattresses to be conveniently and easily compressed, rolled and then shipped to the customer. Storage of this mattress is easily done since it is foldable, not to mention that it can be compressed conveniently when needed for mobility. With this Zinus mattress model, you experience “Sleep Green” every night, an environment of peaceful slumber made possible by materials in its Bio Foam’s natural seed oils which significantly reduces the use of their petroleum based counterpart. This Queen-sized mattress has a 60-inch width and an 80-inch length, five inches and six inches more in both length and width, respectively, of a full mattress. The Sleep Master iCoil 8 Inch Spring Mattress is ideal for couples primarily because of the 30 inches that each person is given access to. This model may, however, feel restrictive for someone who is used to sleeping alone on a twin sized bed. The iCoil system in this particular Sleep Master model uses thrice the number of springs as that of a coil spring mattress with each individual pocket per coil separated and equipped with quality padding to ensure that it adjusts to body movement accordingly. This means support is customized for the user’s body as it minimizes motion transfer to provide uninterrupted sleep. 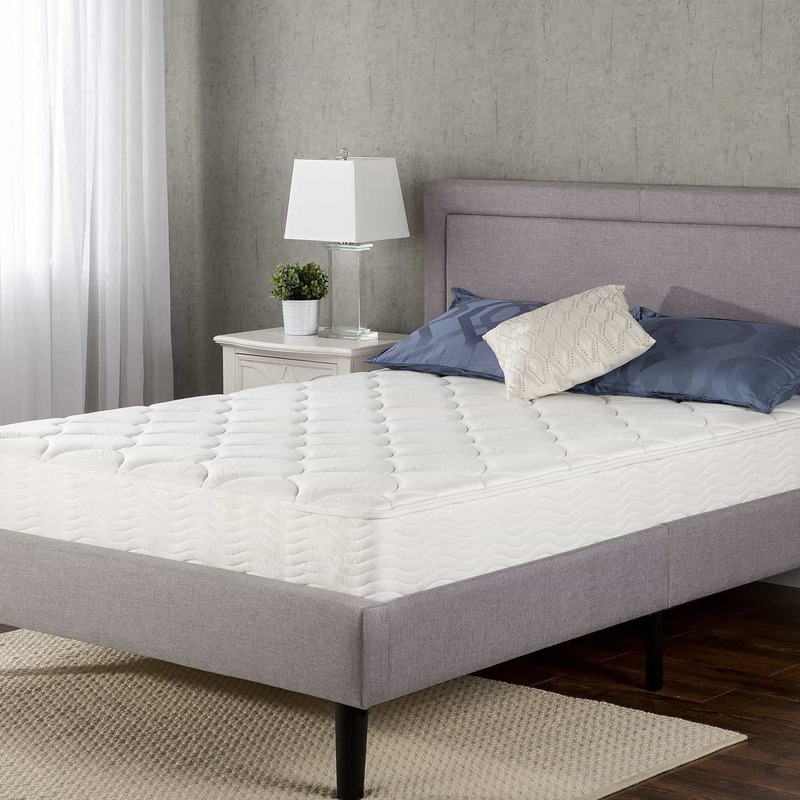 This mattress is suitable for all types of sleepers but especially so for those who sleep on their side; most side sleepers, who often toss and turn during sleep, find it difficult to find a mattress that will suit this position shift. 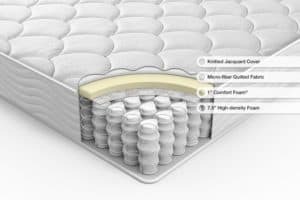 Each coil of this mattress, however, helps contour the curves of the user’s body not only for the relief of pressure points in the neck and shoulders but in the back, hips, and spine as well. Zinus provides a warranty of five years for the Sleep Master iCoil 8 Inch Spring Mattress, giving the user sufficient owner satisfaction in regular or daily use. While Zinus spring mattress models will be typically 8% less expensive than their foam counterparts – even with equal thickness – those who have purchase this particular model actually consider its value its strongest feature. Based on 181 Amazon reviews, this particular Sleep Master model obtained an overall rating of 4.4 stars out of five with 68% of customers giving it five stars out of five. “Comfortable but firm” is how the majority of those who purchased this Queen-sized mattress described it. Interestingly enough, this firmness proved to be relative because some found it hard while some observed it was just what they needed or wanted. The latter was indicated in reviews by more than one customer who has had chronic back problems. 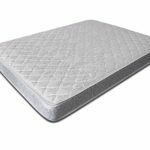 The use of the Sleep Master iCoil 8 Inch Spring Mattress apparently gave considerable relief to those who had the condition as well as to people who have sleep position issues because they are side sleepers. 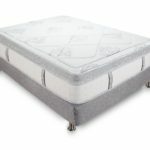 One review even encouraged other customers “not to let the price” fool them or deter them from purchasing the mattress. 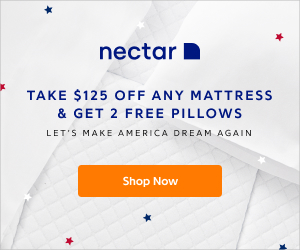 Most customers, especially the side sleepers, indicated that sleeping on this mattress does not cause excessive pressure or firmness – the major complaints from mattress buyers – which can disrupt sleep during the night. 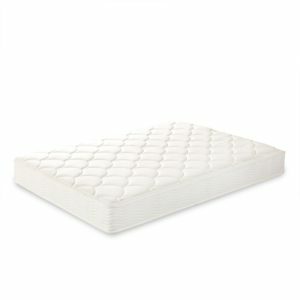 Moreover, reviews of the Sleep Master iCoil 8 Inch Spring Mattress particularly appreciate the fact that this model does not give off any odiferous smells either upon opening or when already in use. Chronic pain in the upper and/or lower back. Those are only some of the things associated with poor sleep habits or patterns which, obviously, include the kind of mattress you sleep on every single night for the rest of your life. Sleeping on a mattress that provides very little or no support for your back, neck, shoulders, spine, and hips will take its toll on your health in the long run that may result in your risk for scoliosis, stiff neck, and uneven hips, to name a few conditions. This particular Sleep Master model is reasonably-priced, albeit some find it expensive; as an investment, though, it is quite a steal when you consider that you will use and benefit from it for a considerably long period that may even outlast its warranty of five years. Still, it is recommended that you view either the Sleep Master iCoil 8 Inch Spring Mattress interactive tour and/or video to give you an idea of its benefits. If you are the type of shopper who will make a purchase decision based partly on reviews from other customers, then you should be able to buy Sleep Master iCoil 8 Inch Spring Mattress without second thoughts. 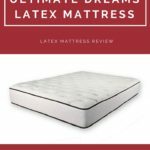 Take note that the positive reviews from those who have bought and used this Sleep Master model far outweigh the number of negative reviews of this product. 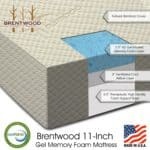 This review recommends that you consider the features of this mattress if you are a side sleeper, have a budget to stick to, experience back pain regardless of whether or not it is chronic, are prone to insomnia because of discomfort from a mattress or for whatever reason that prevents you from getting a well-deserved, relaxing, uninterrupted, and satisfying sleep or rest whether it is during bedtime or a nap. What Is The Best Mattress For Heavy People? Super Sealy Sale Going On Right Now! Do You Really Need a Box-Spring?